Some people scoff at the idea of marijuana head shops and dispensaries in their town. Little do they know that these businesses greatly benefit the economy, especially the local economy. Everyone knows the unemployment rate is higher than it’s been in the past—in fact it is currently at over 9.1% in the U.S. Head shops and dispensaries create extra jobs for Americans. More people having an income equates to more people spending their money somewhere, thus boosting the local economy. An increase in jobs leads to an overall boost to the economy. Since so many steps go into growing and selling the marijuana, additional dispensaries means even more jobs become available. Extra growers, caregivers, bud tenders and other dispensary workers are needed. A variety of methods are available for marijuana patients to consume medicinal marijuana, including rolling papers and blunt wraps, vaporizers, bubblers and bongs, metal pipes, glass pipes, and the list goes on. 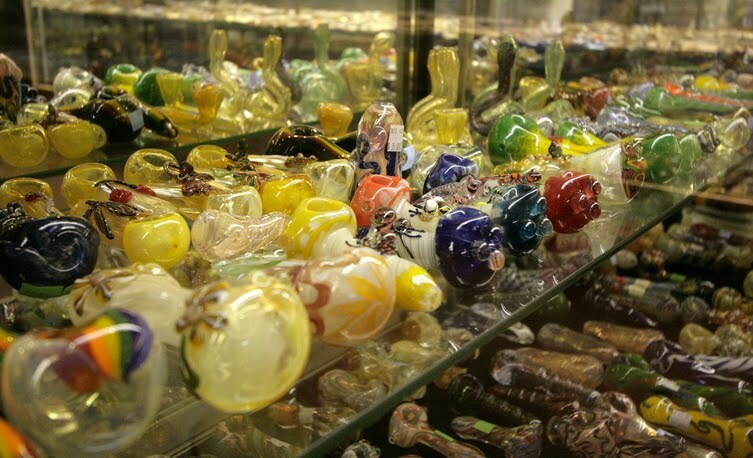 Anyone over the age of 18 can purchase all of these smoking devices and many other accessories at a local head shop. An increase in head shops or smoke means more employees are needed to create, manufacture and sell these pipes so those needing to use marijuana for medical reasons can have a way to use it. In addition to extra jobs being available, marijuana dispensaries benefit the state’s economy in terms of tax revenue. Marijuana being sold is taxed the proper amount, bringing in additional revenue above and beyond the state’s typical amount of revenue. Since medical marijuana is often times sold illegally, there is buying and selling occurring without any tax being put on the product. With additional dispensaries, those needing marijuana for medical reasons will be forced to pay tax, boosting the economy. Medical marijuana is so beneficial to those needing it to alleviate pain or severe medical issues, but most people fail to understand the value it would add to our economy. With an increase in tax revenue, combined with an increase of available jobs, medical marijuana does nothing but help the U.S. economy.